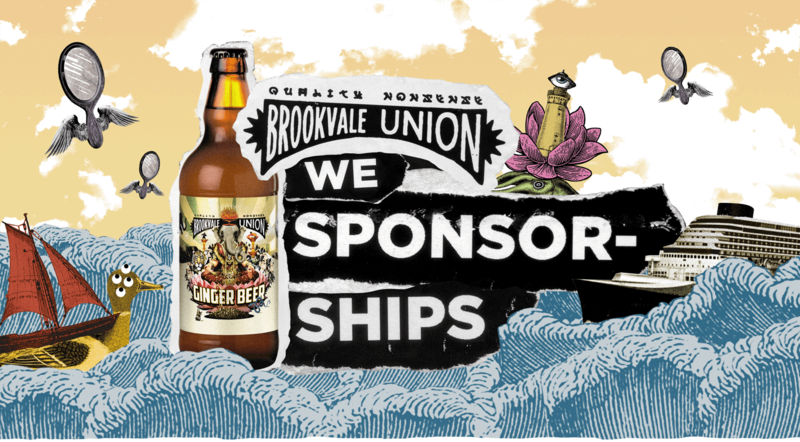 Brookvale Union Alcoholic Ginger Beer is the most delicious in the known universe. But not everyone in the known universe knows it! We needed a way to get our name out there with the big guns and heard sponsorships could really put us on the map. So we looked into them. We really broke them down. And when we did, we came across something amazing! Sponsorships is made up of two words. SPONSOR. SHIPS. Yes! From this moment until the end of time (or until we get bored), WE SPONSOR SHIPS! Got a ship that needs sponsoring? Or a mate with a ship that needs sponsoring? Or just a mate that wears stripey shirts and boat shoes all the time (we may consider sponsorsing them too!?) Morse code us, tag us, laser tag us or even hashtag us #wesponsorships on Facebook or Instagram and we may quite possibly maybe sponsor the floaty vessel in question!